Barakat’s latest novel is presumably set somewhere between Beirut and Paris. From one capital to the other, in this globalized violent world of ours, the novel’s characters, all Arabs, travel to escape, to seek refuge, and converge towards the airport. Even the more fortunate ones seem to suffocate and to seek a fresh start elsewhere. But the refuge the West seems to offer is mostly an illusion, and the characters all have to face their failures. The novel mainly consists of six letters, each intercepted by an unrelated person, who, after reading it, is compelled to write a letter of her own. An illegal emigrant writes his lover; a woman in a hotel awaits a man; a torturer on the run writes his mother; a woman writes her brother about their mother’s death; a young homosexual man writes his father; and finally, the mailman leaves a note. Each of these intimate letters are confessions addressed to one specific person, as a last desperate attempt to mend the broken pieces of a relationship. They each describe a failure, and themselves fail at their mission since none of them reaches their destination. Together, these letters describe the multiple aspects of the dysfunction of Arab societies; the multi-layered and multi-facetted violence people are victim of, whoever they are: from urban educated women, to rural girls, to children of powerful people, and torturers. They all run, and all seek shelter in travel, the West seeming like the only place to run to, but this refuge turns out to be illusory. All these people are therefore all in transit at the airport at some point. Following these five letter, one chapter, entitled “At the airport”, gathers all the voices of the different intended recipients of the letters. They seek the answers that the forever lost letters detain. Thus, we meet the woman to whom the first letter was addressed. She gathers her lover was heading to Paris and tries to catch him at the airport. How could he leave without a word? We then find the Canadian lover the woman of the second letter was waiting for. After 10 hours of delay, as soon as the plane lands he decides to head back home, acutely aware of the ridicule of his gesture, and convinced she would not be waiting for him in that hotel room. The Albanian refugee friend of the third letter’s author is being deported. He was arrested and questioned for the death of the old French woman – whom he understands his Arab companion has murdered. Next, comes the brother of the fourth letter’s narrator. He is convinced his sister has killed their mother. I total disbelief of the woman she seems to have become, he swears to find her wherever she is. And where is she? Where is she going? Where do we all go and how do we get there seems to be the novel’s main question. The airport is the perfect illustration of the limbo where all these travelers-against-their-will find themselves. The novel’s conclusion, entitled “Death of the mailman”, is a sixth letter written by a postman, as a note he intends to leave in the post-office, somewhere in an Arab country torn by war. There was once a time where people would welcome him and look forward to the ring of his bicycle’s bell. These days are long gone, and there is no longer any mail to deliver. 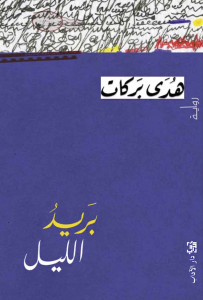 In a resolutely modern and contemporary novel, Barakat illustrates the dissolution of Arab societies. The novel’s unusual structure itself illustrates social failure. People seem to talk past each other, rather than to each other. As a result, wrongs are never made right, or even acknowledged. I was meaning to write to my mother about the moment she put me on the train, alone, a child of eight or nine. She gave me a loaf and two boiled eggs. Told me that my uncle was waiting for me in the capital, that I must get myself an education because I was the cleverest of all my siblings. And she said: Don’t be afraid. Don’t cry. And I, it has to be said, have been afraid and petrified, alone and lonely, and hostile, ever since that train took off. I have a deep desire to harm somebody—someone I do not know so that I might find no cause to spare them. Someone with whom I have not the slightest connection, so that I might unleash my desires without engaging my mind—since it seems to me, at times, that my mind is my greatest enemy. Since the train took off… When that train took off a darkness fell on me that was like the sun going down in winter. I showed no fear, nor wept, but sank instead into the rank stench of the boiled eggs. I wanted to hurl the loaf away but didn’t dare. It was early morning still—she had woken us roughly—but the train coursed through that sunlessness like it were a long tunnel without end.